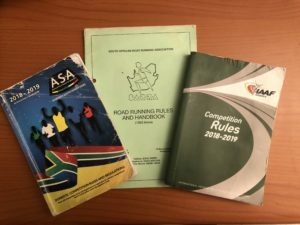 South Africa has a well-established athletics culture with a strong road running culture that is founded in a club structure. This is acknowledged even at IAAF level as amongst the strongest in the world. The evolution of this came from the years of isolation when athletes were limited to internal competition, which when linked with the running boom, and increase in participation, of the 1970’s saw the focus move to road running events. 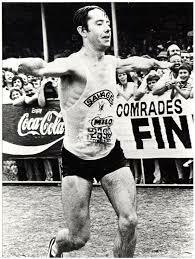 The Comrades Marathon, and so the annual training run of Two Oceans, drew the viscous circle of numbers, sponsors, media, funding, and the growth of clubs. By comparison the prospect of the same top athletes competing against each other on a weekly basis held little excitement for those outside the athletics family, which meant the dwindling spiral of sponsors, media coverage and spectators. Over the next quarter century, the spinal support structure, growth and evolution within road running was greater than virtually anywhere in the world. This was despite the isolation and the tough competitive landscape saw the development of top athletes, and many well thought out innovations of world leading status. Although the announcement of South Africa’s return to international competition came on 29 May 1992, the reality is that in most cases this has primarily been around out-going teams or individuals, and little impact was felt on the domestic events over the past two decades. The high organisational standards of the domestic fixtures meant that some international rules were ignored either through ignorance, or inconvenience. 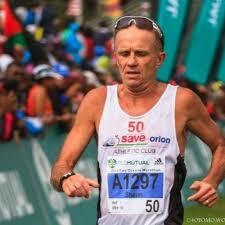 Over the past decade there has been a gradual introduction of events with international status, such as the small group of AIMS members, such as Maritzburg Marathon, Mandela Marathon, Two Oceans, and Comrades, then the application for IAAF Label by Cape Town Marathon, and the recruitment of elite fields for the FNB City Series. 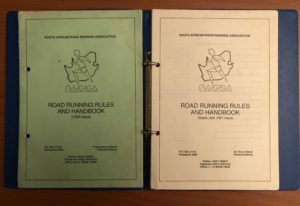 This highlighted some key differences in standards as the two differing worlds of road running evolution were forced to merge. Change is a frictional meeting, and inevitably the 2018 rewrite of domestic rules, the greater emphasis on running by the international body, and the hope of increased international races on home soil has led to eruptions. 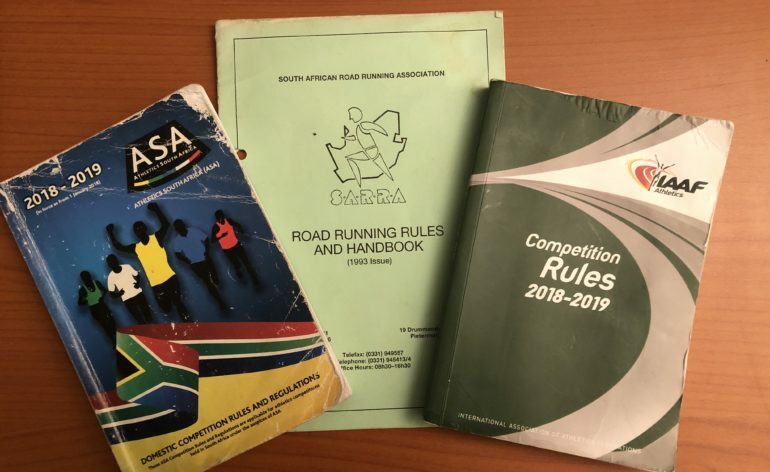 The use of age category tags is a South African aspect, and allows every runner to see who he / she is racing against, particularly when some runners appear younger, or excessively older than their true chronological age. This rule is only seen internationally in the World Masters handbook. The use of a ASA license number is sometimes seen as a burden, but in reality was lightyears ahead of time. This became the runners membership card, and meant that no race organiser required to provide numbers to race entrants. This saved, and continues to save, money for the organisers particularly those with small rural fields where electronic timing is not viable. It is only the move to chip timing that has seen the growth, and controversy, of the numbers come to the fore. However the use of foot chips, or even simply having the bib chip provided on a small piece of Tyvek below the ASA license is all that is necessary for the system to work. The use of event specific numbers is driven by the exposure of sponsors and the desire of race / eventing companies to make a mark up on selling numbers, not the logistics or racing. That said with greater emphasis on the international elite athletes in Gold Silver and Bronze events, it is highly likely that such elite will soon be individually ‘licensed’ by the IAAF, and this will link into the anti-drug control of athletes. SA also led the way in terms of water / drink packaging. Although single use plastic has to be reduced and replaced, in terms of efficiency it was a world leader commenced in late 1980’s in KZN. 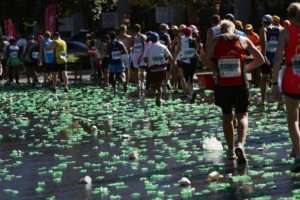 The race is now on to find better – more environmentally friendly packaging and the current system can not continue. The alternatives currently on offer around the world remain, bottles of water, paper / plastic cups, or other plastic foil topped tub containers, many of which promote a wastage of water. The next evolution will insist on a more planet friendly packaging but that has yet to be found. On the counter side two international rules / standards have impacted on previous domestically accepted protocol. The first requires competitors to basically limit the branding on their running gear to the international standard of a club logo or name of restricted size plus a manufacturers logo. The 40mm high chest to chest club sponsored vest was initially negotiated with IAAF in the early 1990’s as a means of trying to bring an income for the athlete and super clubs as they were envisaged in 2004. This was agreed provided athletes complied with international rules and advertising regulations when competing in international events. 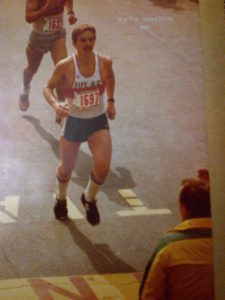 The international requirements that limit branding have been in place for decades, and when any runner ran in foreign races it was a restriction to the standard (world wide) accepted club colours. For reasons given previously, plus a lack of strong enforcement by race officials and organisers, this only really became an issue in the 2017 / 2018 seasons. 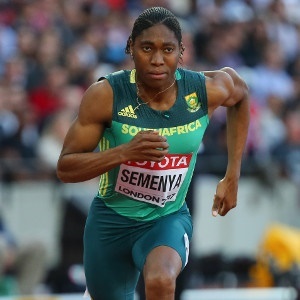 With the aid of the guidance provided in IAAF Rule 100, that allows officials to treat competitive athletes differently to recreational runners, it is only those that are contending for prize money / awards (in International events in South Africa) that are currently required to meet the international standard. 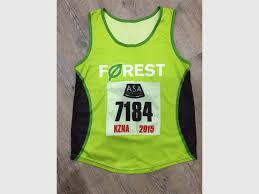 The remainder of the field can wear their branded club vests to ASA standards. Innovations internationally will, with the adoption of the 2019 IAAF Constitution, see the various previous disciplines of XC, Road Running, Ultra Running, mountain / Hill running, trail running and even obstacle events, all fall under the single commission called “Running” and that will acknowledge and promote both the competitive and participation sides of these disciplines.. exciting and changing times are ahead.